12th May, the anniversary of the birthday of Florence Nightingale, is now widely known as International Nurses Day – a time to honour and appreciate nurses. And a perfect time for me to post about the amazing Australian women who travelled across the world to nurse wounded soldiers in Harefield. On this same day in 1915, four Australian Sisters joined Matron Ethel Gray to begin scrubbing the Harefield manor home donated by the Billyard-Leake family in readiness to receive wounded. Three days later they’d polished floors, acquired linen, organised supplies and dragged mattresses into place. By Sunday 16th May, 80 beds were ready. Two weeks later eight patients arrived. A month later there were 170 patients. Numbers continued to rise and during the war years, around 50,000 soldiers were treated at Harefield House. As well as nursing, the women tried to boost the men’s spirits by organising concerts, wheelchair races and cricket matches. One of the nurses, Sister Ruby Dickinson died during her service. She was buried with full military honours at Harefield’s Anzac cemetery. In the Lamplight is the final title in my ‘Light’ series and in this book I’ve focused on the changing roles of women during WWI. The story follows Rose, whose life is changed forever when WWI arrives in her peaceful village. While the suffragettes have put aside their goals for the duration of the war, Rose finds inspiration in the courage and dedication of the cheerful Australian girls, so far from home. She summons her own courage, firstly to read to the patients, and then to begin the challenging journey of becoming a nurse. Thank you to the Department of Local Government, Sport and Cultural Industries for generous funding support. This entry was posted in Anzacs, for teachers, historical fiction, In the Lamplight, Light Horse Boy, Lighthouse Girl, my process and tagged nursing, WWI on May 11, 2018 by Dianne Wolfer. 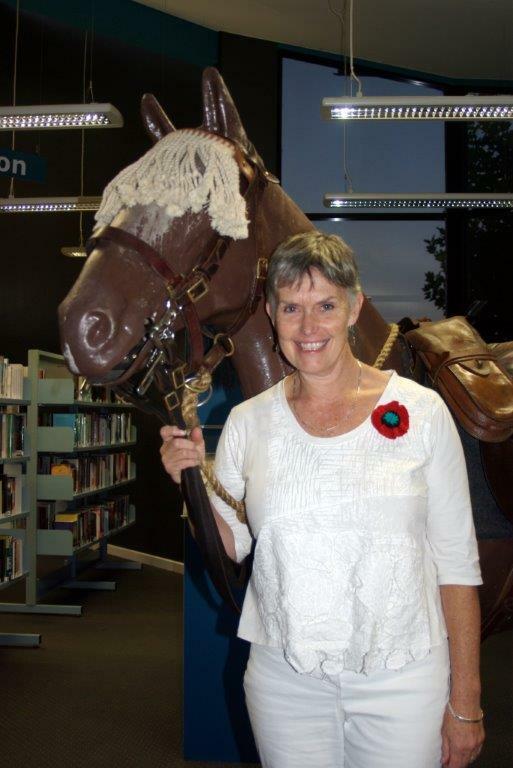 Last week, Susan Dalgleish and her team at the Shire of Capel Library organised a terrific Anzac event in conjunction with the Capel RSL. It was attended by a wide cross-section of the local population. 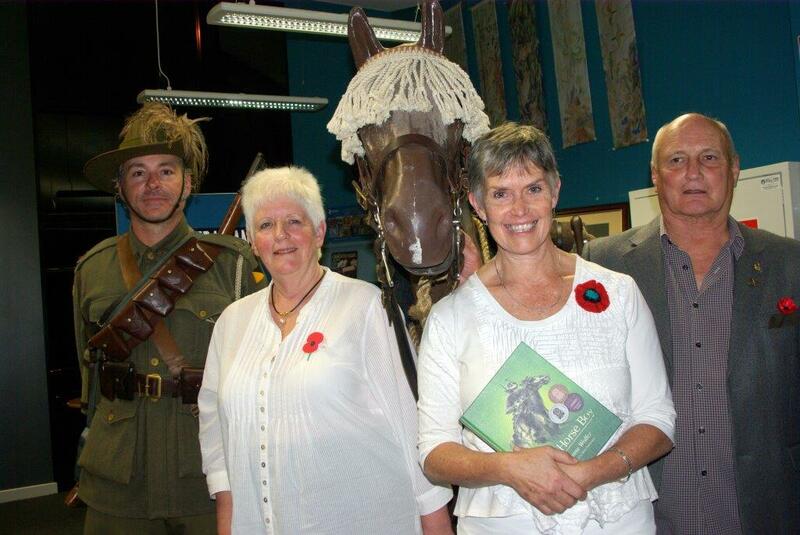 Planning began last November with the amazing Lesley Jackes at an author event in Albany commemorating the Departure of the 1st AIF (see previous post). Susan and the Capel Library staff are passionate about history and literacy. They created interesting displays and an inspirational program that began with local group, ‘The Wednesday Girls’ singing songs from the WW1 era to set the mood. 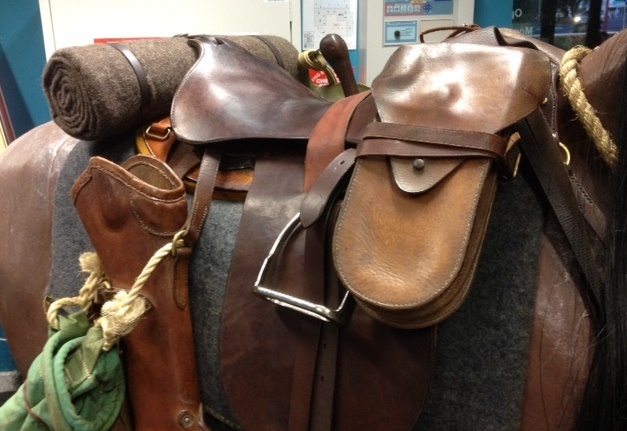 Daniel McDonald from the 10th Light Horse arrived in full kit and brought along a life-size horse which was also kitted out with WW1 equipment. 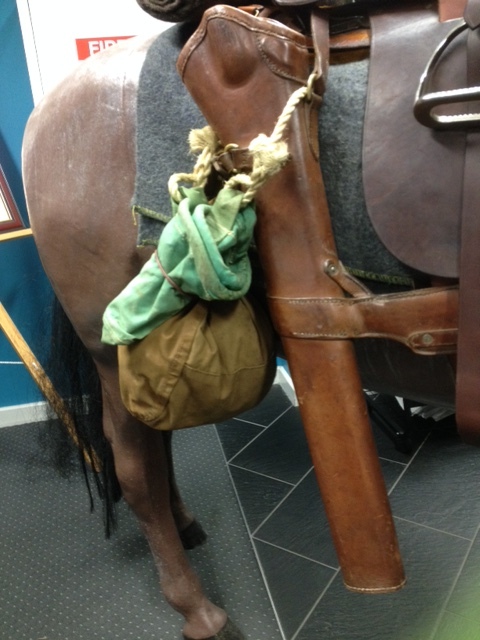 It’s always fascinating to see how much gear those strong Walers carried. Members of the Capel RSL sub-branch including Vice President Alan Kelly Parker were on hand to answer questions and give introductions. We also heard a fascinating account of April Jenkins’ WW1 archaeological work in Jordan. 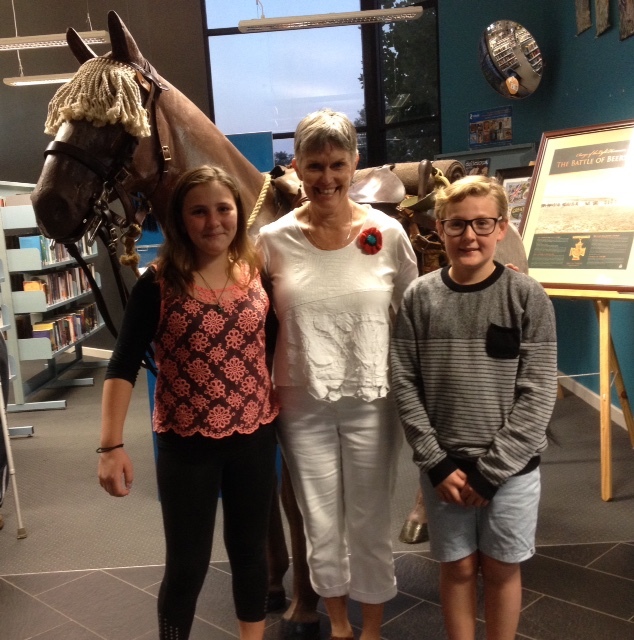 I was very touched by Light Horse Boy book review readings by Jordi and Fraser Milner and also their mother, Naomi. Thanks guys. The library boasted an impressive collection of WW1 postcards, books and mementos – many of which I coveted (especially those stirrups) ! 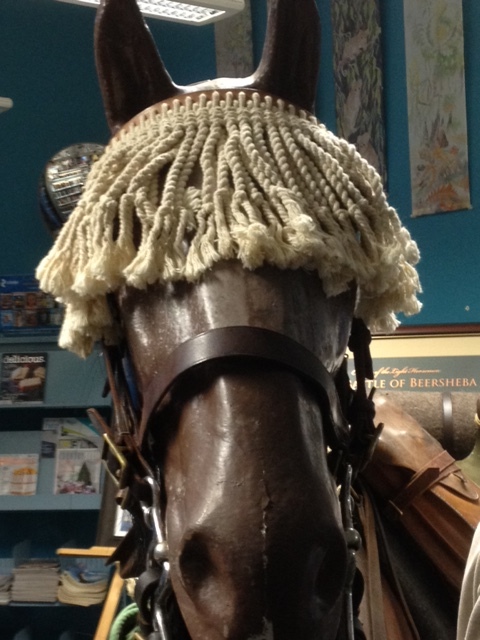 This entry was posted in anthropomorphism PhD, Anzacs, Books, for teachers, historical fiction, Light Horse Boy and tagged Anzac, Anzac Day, capel library, Light Horse Boy, WWI on April 30, 2015 by Dianne Wolfer.